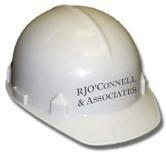 Company Overview | RJO'Connell & Associates, Inc.
RJO’Connell & Associates was founded in March of 2004 under the leadership of Rich O’Connell. Together with Brian Dundon and Brian McCarthy, the founding Principals, there is over 65 years of experience in the field of civil engineering specializing in the design and permitting of land development projects. Each principal has a distinguished track record of providing their clients with the highest quality of services and are actively involved in each project to ensure client expectations are being achieved. Our business philosophy is simple; to form partnerships with our clients to provide the highest quality of services and meet their expectations in a timely and cost effective manner. In addition to our Civil and Planning expertise, typically as the lead or prime consultant during the land development phase of a project we provide project management and guidance to the specialty sub-consultants and are the direct liaison between the client and the consultant team. We pull it all together. Be it commercial, retail, mixed use, entertainment, industrial or residential, RJOC’s staff is fully knowledgeable in all phases of assessing the viability of a land development project. Whether it’s developing on a raw piece of land or the redevelopment of an existing site, RJOC’s staff is highly motivated and skilled in performing Land Development Services.